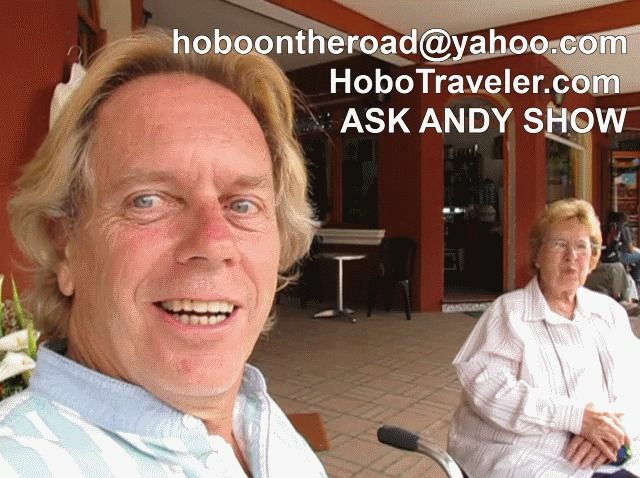 March 1, 2015, I, Andy Lee Graham celebrate 17 years of non-stop world travel. A person without a permanent address, and no forwarding address. I am Andy Lee Graham, a traveler, today; March 1, 2015 is the completion of 17 years of nonstop world travel. The woman to the right of the photo above, Mom Graham, enjoys saying it is 18 years, the truth is, I am not really sure, because one does not plan to travel 17 years, it is something that happened. Where am I today? I am in the small village of Panajachel, Guatemala on Lake Atitlan. OK, I will try to tell you something to remember. Each day, for the last 17 years, I’ve lived where I’ve wanted to live. Do you live where you want to live?